Today is opening night of my most recent project, Dancelight 2013. Dancelight at CMU is a compilation of 20-25 dance pieces choreographed and danced by CMU theater students. Each piece is assigned its own lighting and costume designer. Every year the pieces are all amazing and the costumes are always fabulous. This year I've had the opportunity to work with the talented CMU Dancer's Symposium to design and create their costumes. The piece is inspired by the turmoil that Anna Karenina faced near the end of her life and the choreography is a blend of traditional and modern ballet. At the beginning of the design process the piece had 8 dancers, but it is now down to 6 dancers. The costume budget = $0. For the costumes, the dancers wear black leotards with navy blue chiffon full length circle skirts (in reality each skirt is two circles full). The time consuming part of the costume production was the hand made necklaces inspired by the above images. I created fabric flowers with rhinestone centers to replicate the flower necklaces above by Vera Wang. This is the makeup inspiration board. 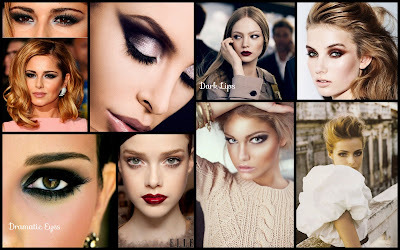 Dramatic eyes and lips. 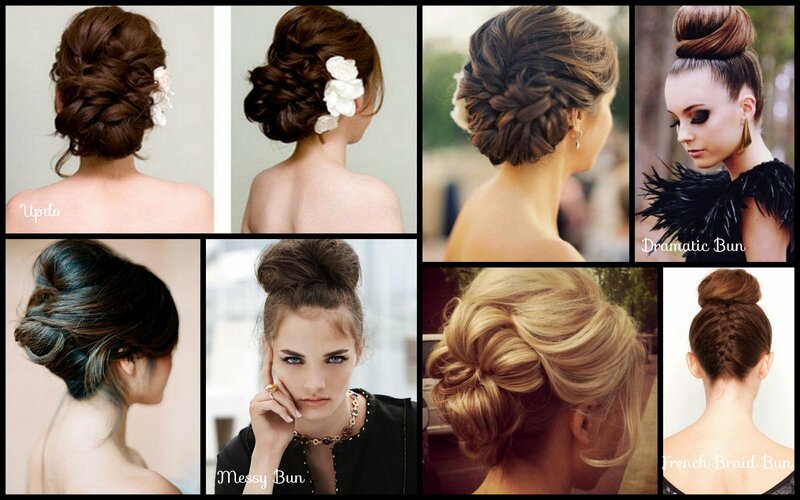 And the hair inspiration board. We ended up going with everyone wearing their hair in a high bun atop their head with a french braid at the back. Very dramatic. I was excited to use hair donuts for the first time ever to create this look. Pictures to follow as soon as they are edited.